Vertisol is a company that provides solutions. We manufacture technical vinyl fabrics for sun protection, floor and wall coverings, upholstery and acoustic panels. Vertisol is a company that provides solutions. We manufacture technical fabrics for sun protection, floor and wall coverings, upholstery and acoustic panels. Fitnice® applies the knowledge and technologies acquired by Vertisol in the sphere of solar protection to a new sector: the manufacture of vinyl floor and wall coverings. 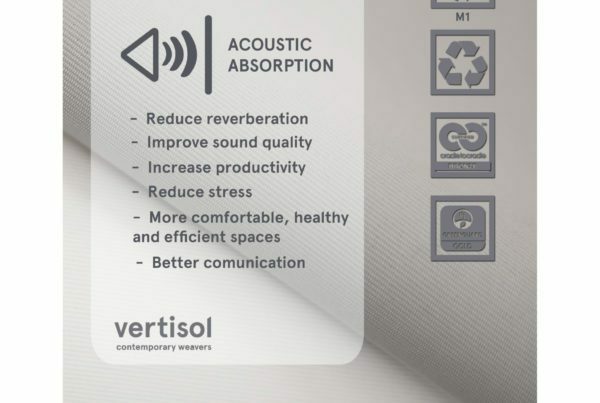 At Vertisol we are concerned about reducing noise so you can concentrate on your ideas. Under the brands Tensiline®, Everdry® and Tach®, we provide a differentiated range of upholstery fabrics for both indoors and outdoors. We know that when warp and weft are intertwined on the loom, everything makes sense. We know that THREAD is the essential element that makes the magic possible when we create our fabrics, this is why we say that thread is our DNA, our essence. Architects, interior designers and users are becoming increasingly more demanding in terms of thermal and visual comfort in buildings, especially if these are intended for offices and work places. Likewise, the regulations in different countries have also become more stringent in terms of energy saving and fire protection. It is in this context when traditional fabrics used for curtains and blinds stop responding correctly to the needs demanded by the market and give way to the technical fabrics for sun protection. What are technical fabrics for sun protection? As their name suggests, technical fabrics for sun protection are textiles whose function is to protect buildings by regulating the temperature inside, as well controlling the incidence of light, in addition to other qualities such as: improving visibility while avoiding brightness and glare, generating energy savings, having flame-retardant properties, or providing good indoor air quality, among others. Thermal and visual comfort: As we said, one of the main qualities of technical fabrics for sun protection is that they are a means for improving the energy efficiency of the house, at the same time as providing visual contact with the outside for its occupants. 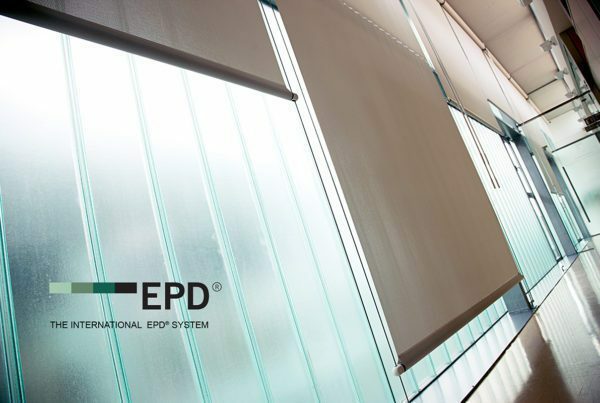 In this regard, one of the best solutions are fabrics with metallic finishes, since their reflective layer, positioned toward the outside, improves visual comfort, avoiding glare and reflections, at the same time as helping to reduce energy consumption. This metallic layer acts as a shield that reduces the need for air-conditioning in the summer, and provides insulation that reduces the use of heating in the winter. Safety in case of fire: One of the main concerns in most countries, and more when we are talking about architecture, is safety. Requirements are increasingly more demanding, so certificates such as M1, B1, or Class 1 are required in the construction sector. Hence the need for technical fabrics for sun protection to comply with them. Improved indoor air quality: As we have seen so far, technical fabrics for sun protection are designed to increase the well-being of the occupants of buildings. It is in this context when technical fabrics appear with certifications of low level of emission of volatile substances such as Greenguard, which contribute to LEED or WELL certification based on improved indoor air quality. Where are technical fabrics for sun protection going? Constant improvement is present in technical fabrics. In light of a society that is more aware and demanding, they must reinvent themselves and improve by leaps and bounds. 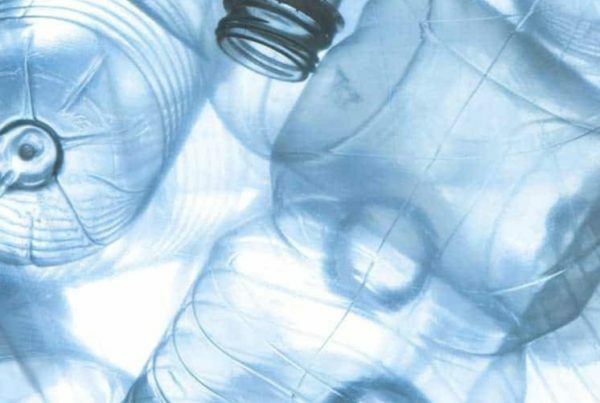 That is why innovations such as using recycled materials are increasingly taking hold, in order to improve not only the well-being of individuals but of the environment. To learn more about this future, we invite you to discover Vertisol’s technical fabrics for sun protection and thus understand where the market is going.